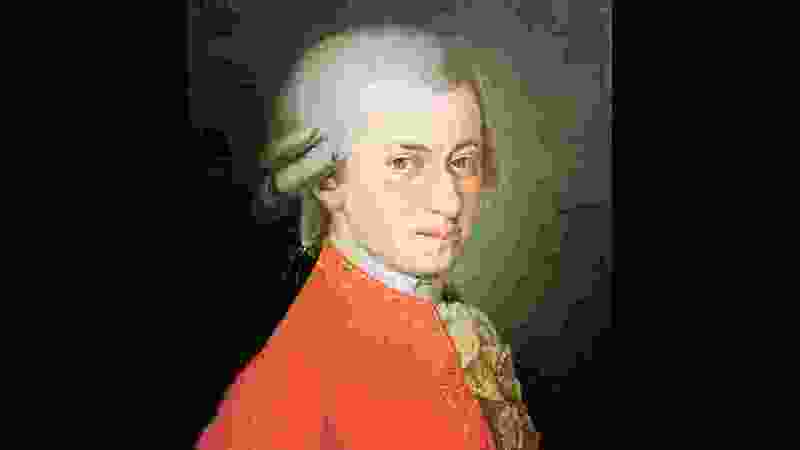 University of Utah researchers recently conducted a study in which they made mice listen to works by Wolfgang Amadeus Mozart while they were given ibuprofen and CBD, to see if the music affected the speed of pain relief. The researchers said in a news release that, to their knowledge, this is the first animal study to look at how music might enhance the effectiveness of analgesic drugs. “It is exciting to think of what this might mean for the anti-inflammatory effects of music interventions and where the research may take us next,” said Cameron Metcalf, research assistant professor in the U.’s Department of Pharmacology and Toxicology and the paper’s first author. The mice were subjected to two pain models, one mimicking inflammation and the other mimicking surgical pain. The mice were separated into two groups: One heard only ambient noise in the lab, the others listened to a three-hour playlist of Mozart three times a night with one-hour breaks of silence in between. This went on for three weeks. The playlist was in three sections — two with a faster tempo, or “allegro,” with a slower “adagio” section in the middle. Most of the works were used once in the three hours, with one exception: Parts of Mozart’s Sonata for Two Pianos in D Major (K.448), were used seven times across the three-hour playlist. That musical choice wasn’t accidental. According to the study, that particular sonata has been used in clinical studies with pediatric epilepsy patients, and has been shown to cause a reduction of seizure frequency and the brain activity associated with seizures. The experiment was conducted four times, once for four different drugs: Ibuprofen, cannabidiol (known as CBD), and two anti-seizure drugs, levetiracetam (sometimes abbreviated as LEV) and NAX 5055. Ibuprofen and music reduced pain responses in the inflammation pain model by 93 percent, compared to ibuprofen without music. With CBD, the difference in swelling was 21 percent with music compared to without music. In the surgical pain model, the study found music alone reduced pain 77 percent, compared to no music. "There is emerging evidence that music interventions can alleviate pain when administered even alone or in combination with other therapies,” Metcalf said. The study was less conclusive with the anti-epilepsy drugs. The researchers say the experiment’s design was inadequate to handle the complex mix of drug dosing and music therapy for those drugs. Besides Metcalf and Bulaj, authors of the study were: Merodean Huntsman, Tristan Underwood, Fabioa Vanegas and Misty Smith at U. of U. Health; Adam Kochanski in the U.’s Department of Atmospheric Sciences; Michael Chikinda in the U.’s School of Music and Salt Lake City’s Gifted Music School; Gerry Garcia at Greatful Living Productions in Salt Lake City; Eugene Watanabe at Gifted Music School; and H. Steve White at the University of Washington’s School of Pharmacy.